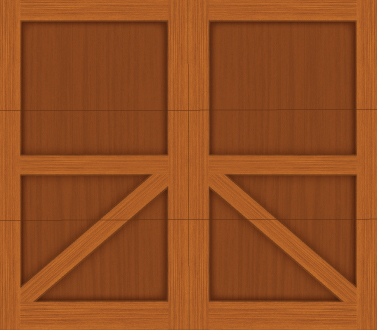 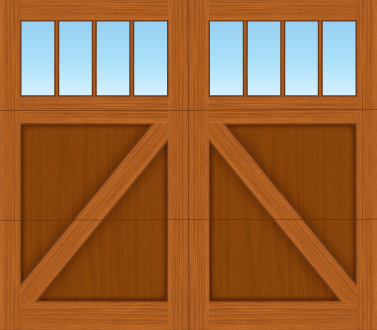 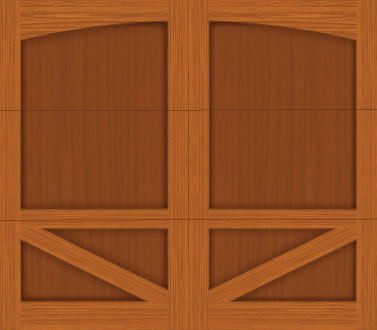 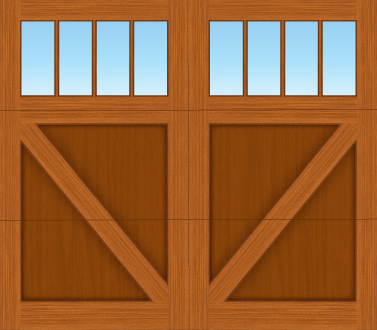 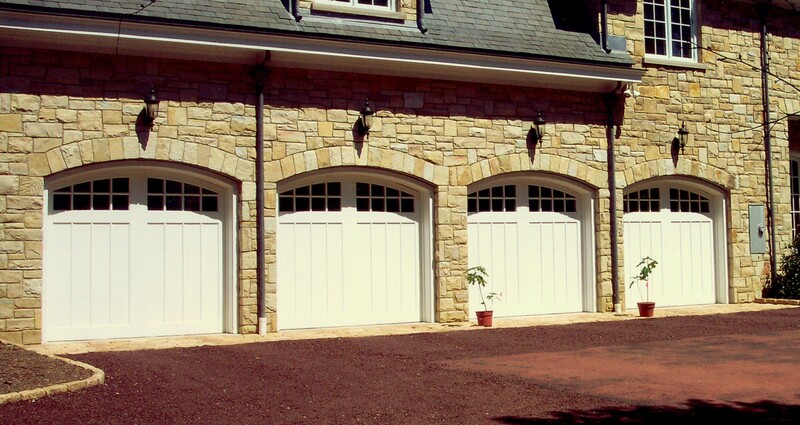 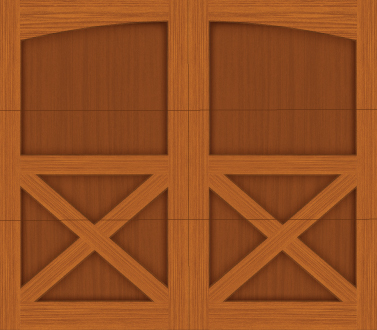 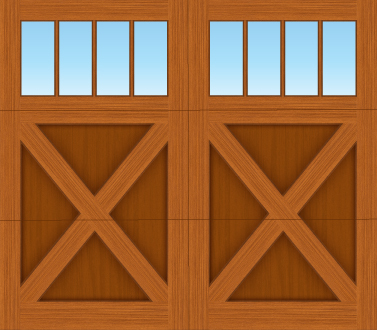 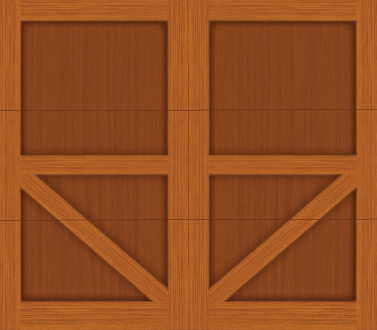 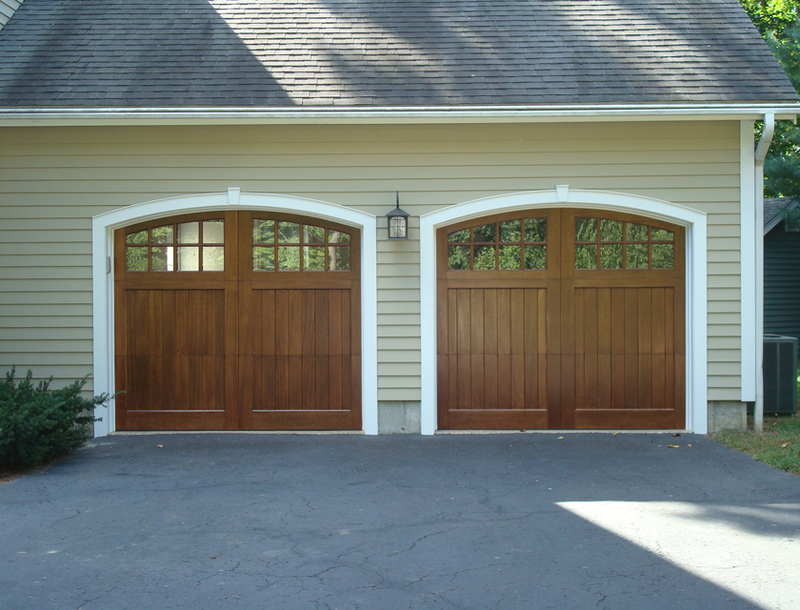 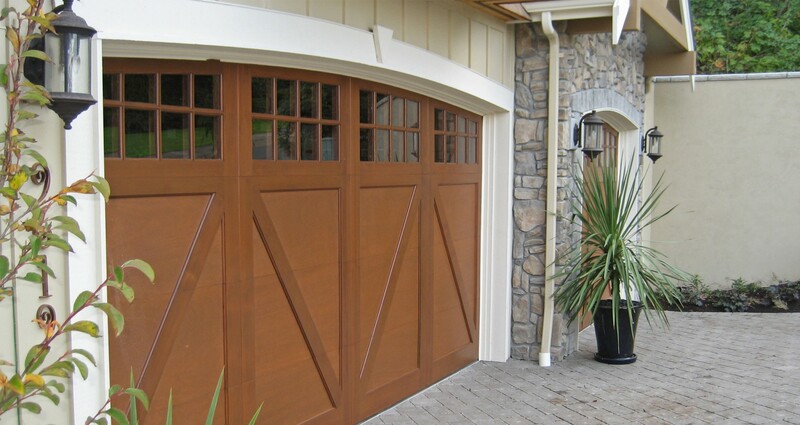 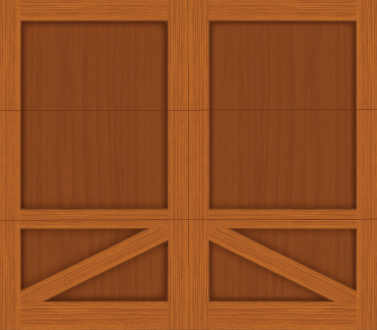 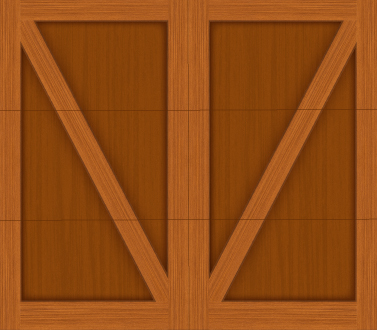 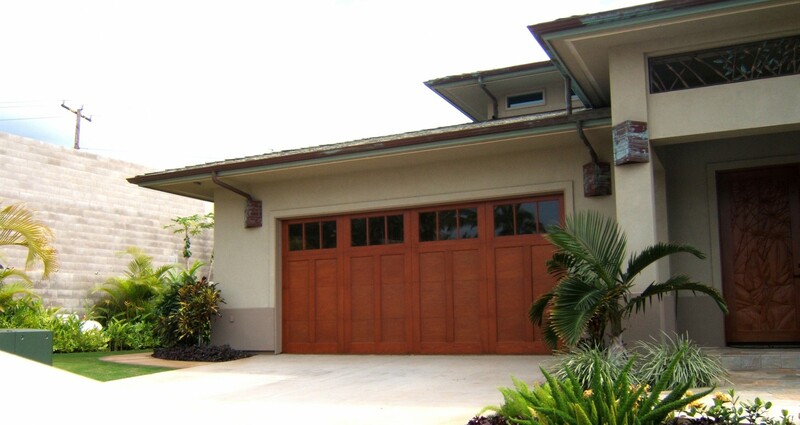 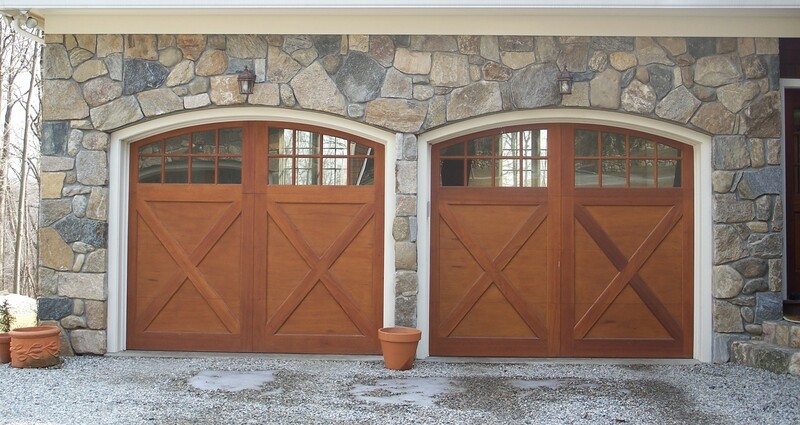 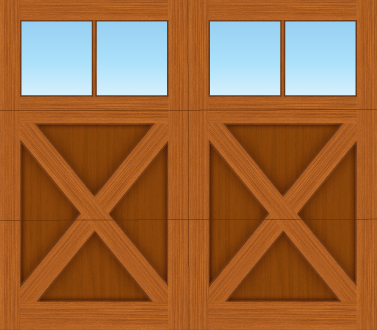 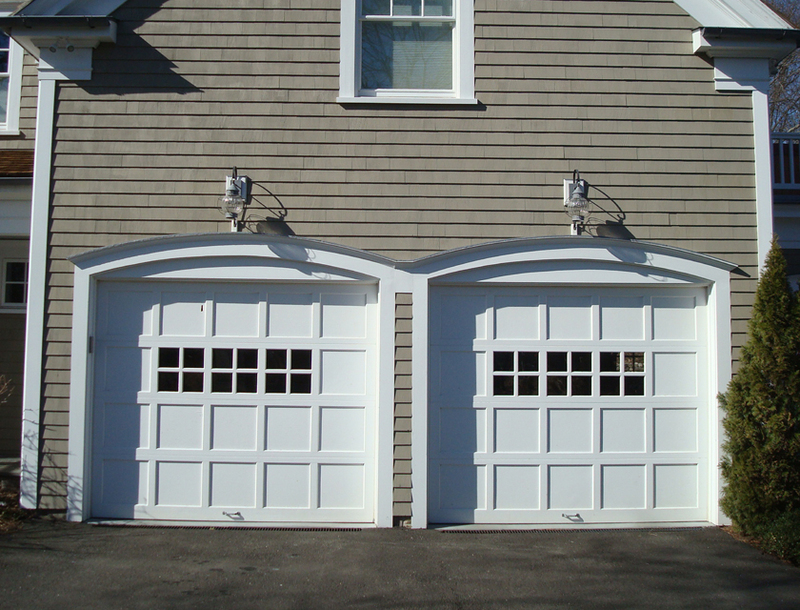 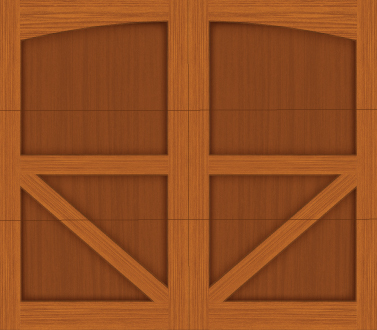 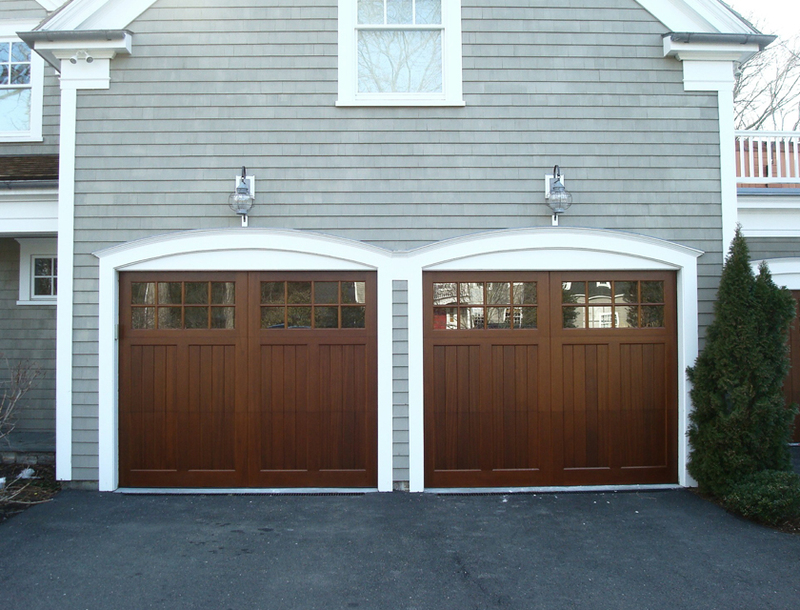 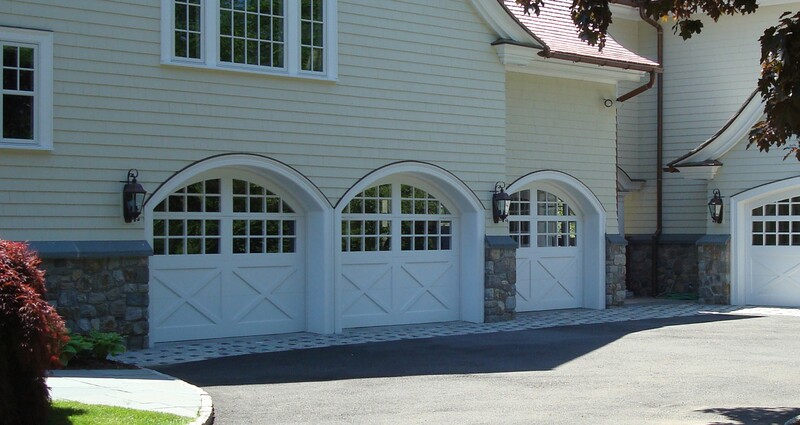 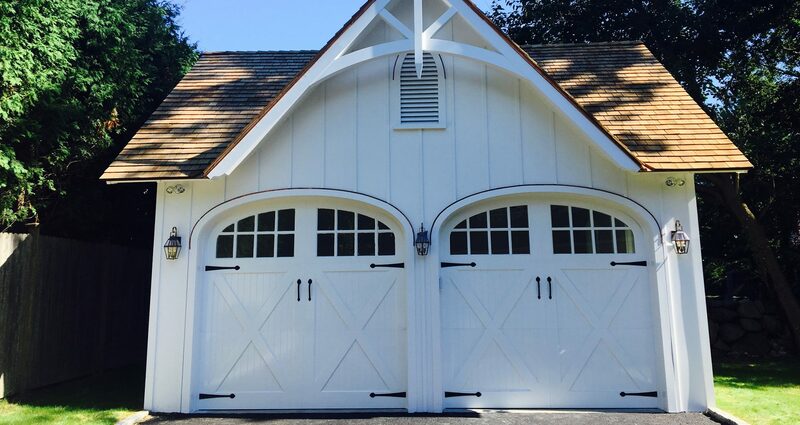 Heritage Classic™ E-Series is one of Northwest Door’s finest handcrafted wood carriage house style garage doors. 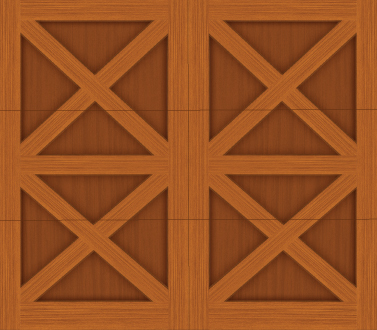 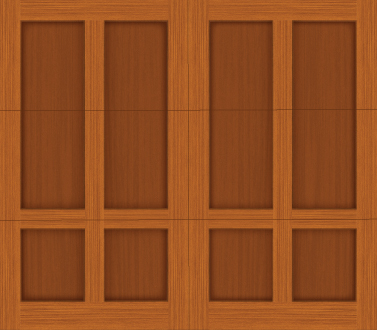 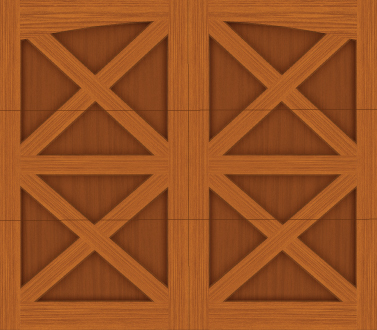 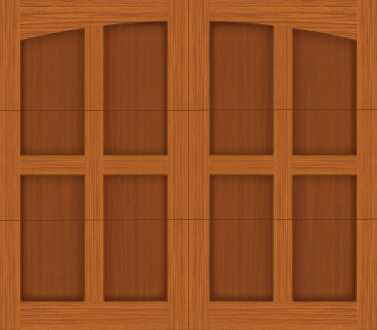 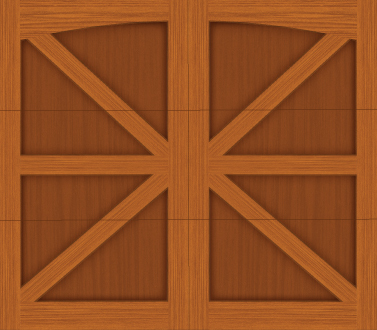 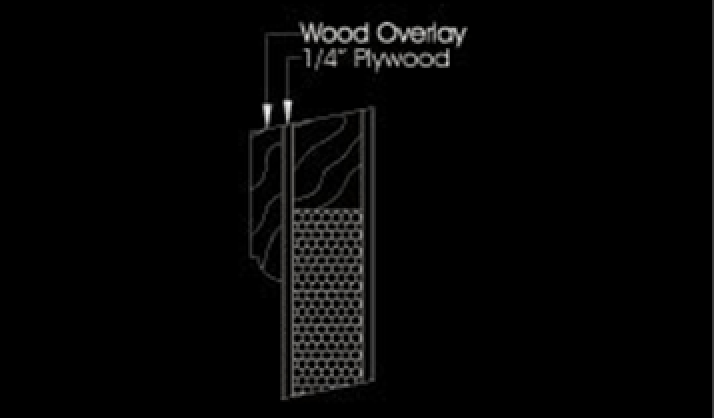 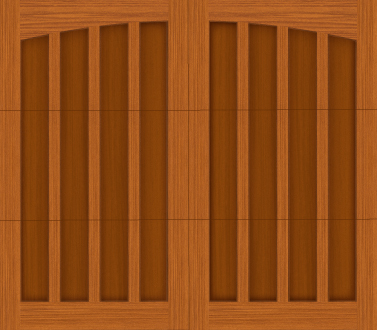 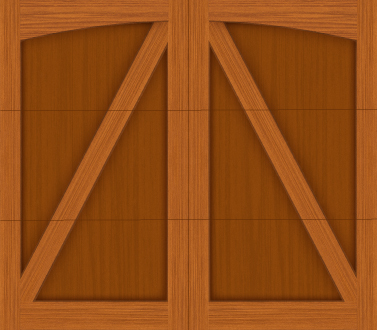 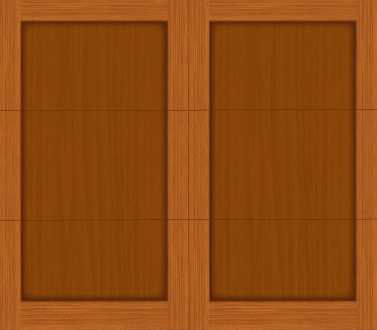 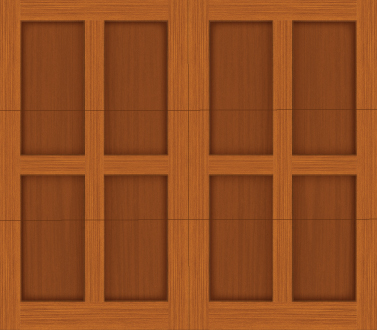 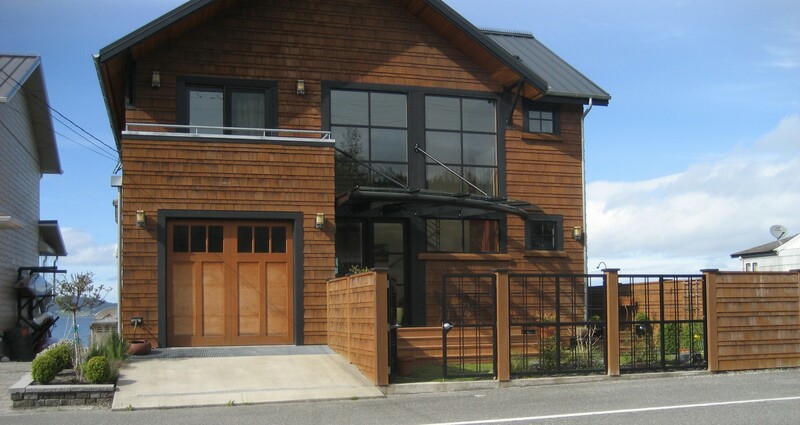 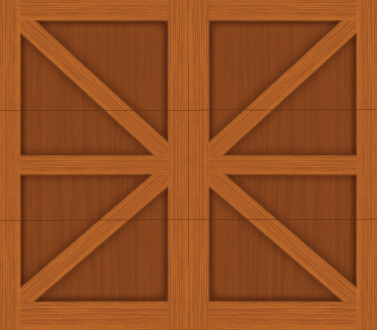 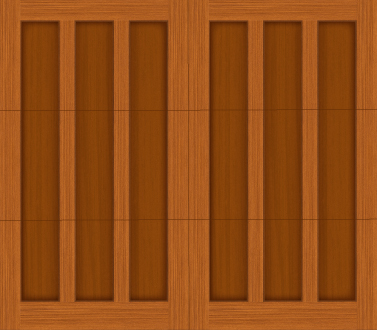 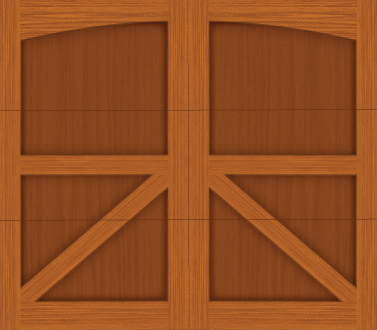 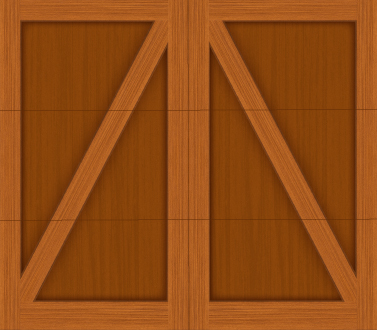 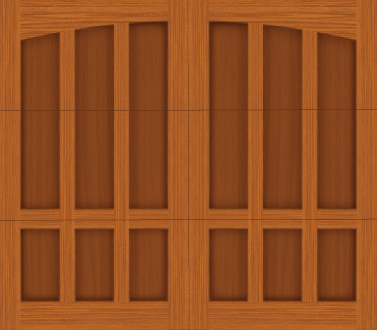 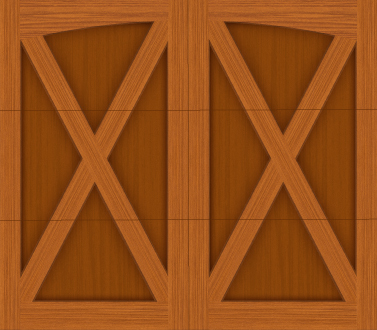 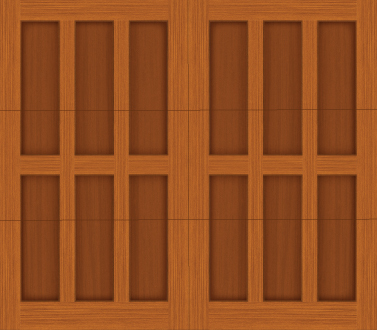 These flush insulated wood doors are built with specially framed and sized sections to receive wood overlay designs. 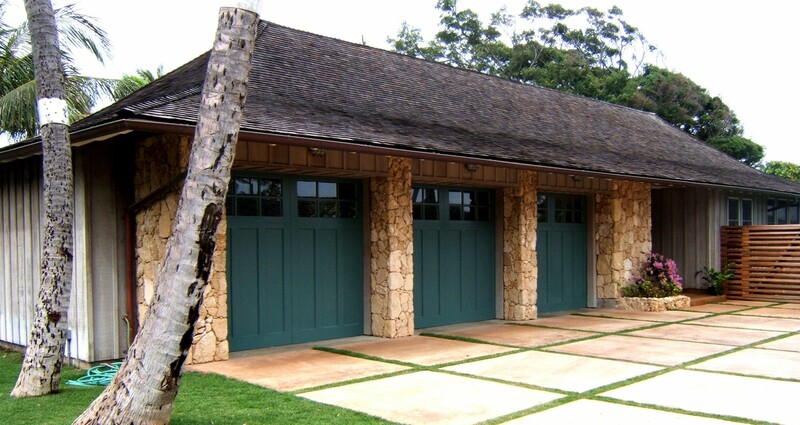 Skilled artisans can replicate most any design that you or your architect can create. 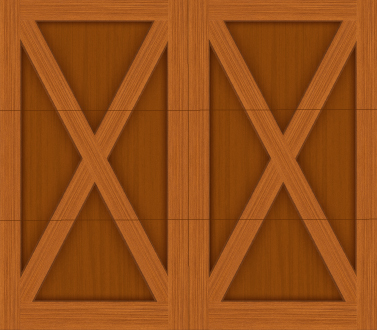 Choose from select woods like Cedar, Tight Knot Cedar, Redwood, Knotty Alder, VG Fir, Mahogany and other fine woods. 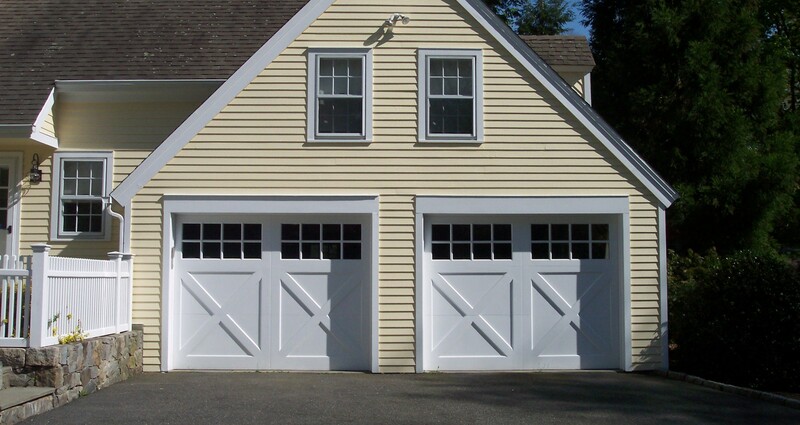 Bottom Rail: 7-1/2", Top Rail: 5-1/2", Meeting Rail width combined: 5"
The Heritage is equipped with heavy duty 15" radius torsion hardware; track is 2", verticals are angle mounted, horizontal track has continuous reinforcing angle. 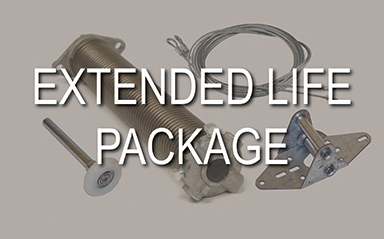 3" track supplied when required by weight. 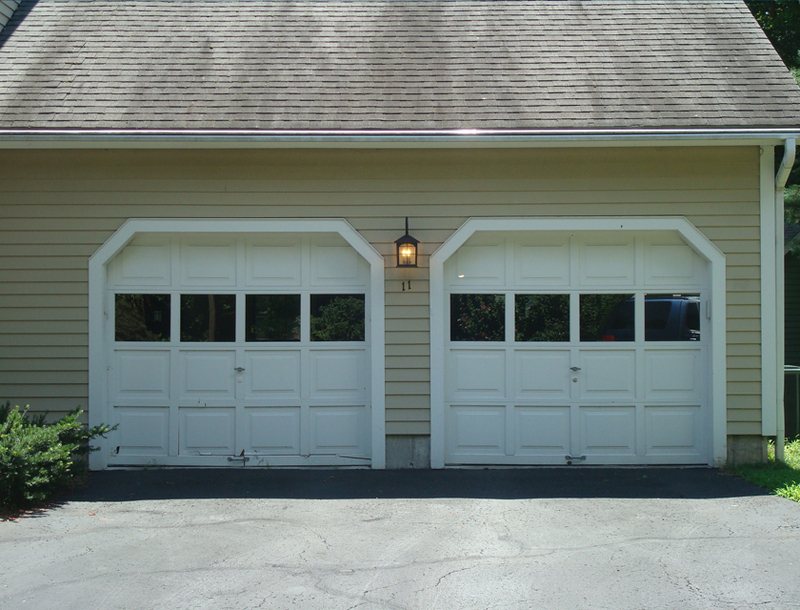 Long stem 10 ball bearing rollers with nylon races, non corrosive door fixtures and graduated 14 Ga. double end hinges are standard. 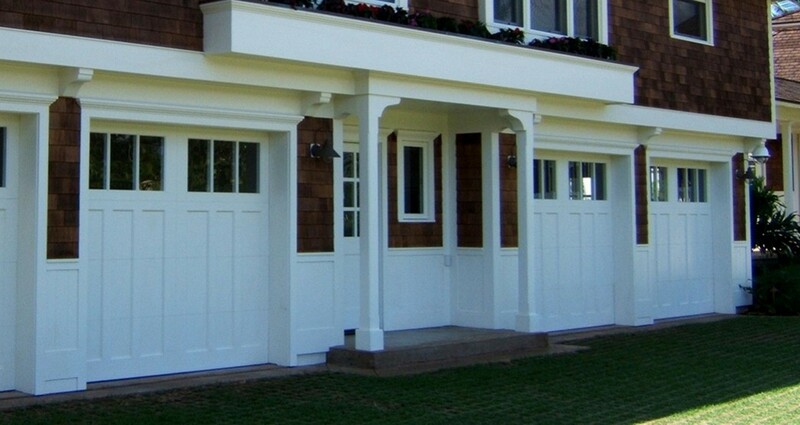 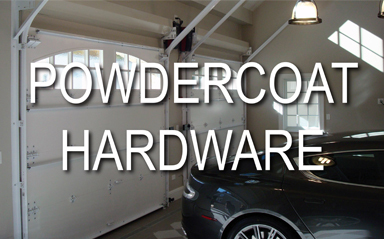 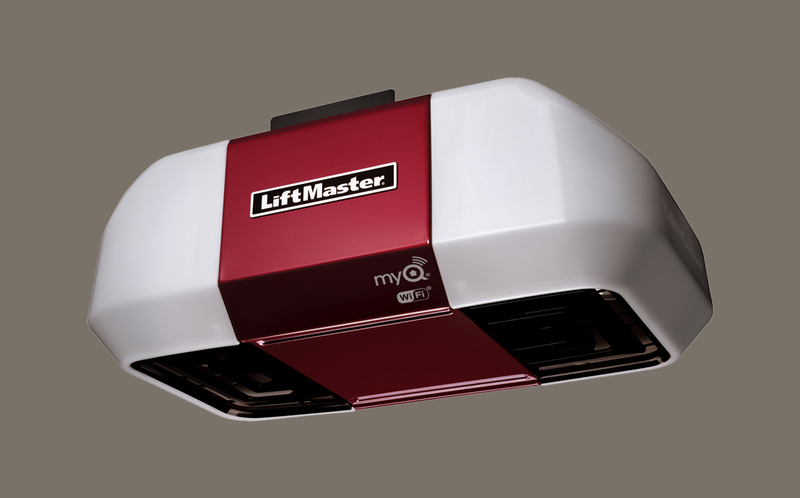 All doors include one strut per section, 2-1/4" or 3" depending door width and weight.